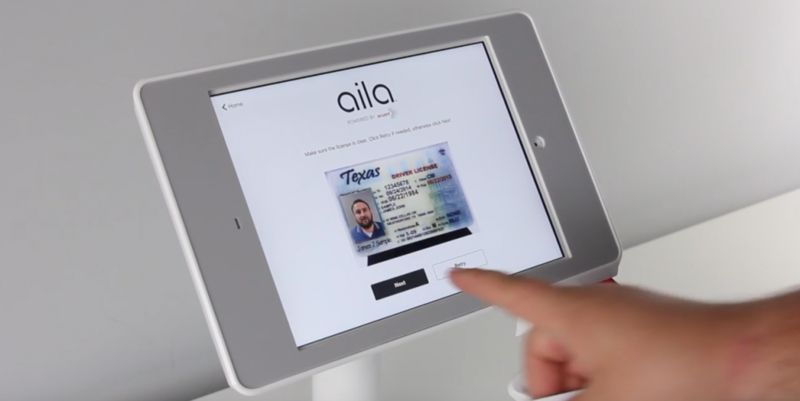 Aila has partnered with Acuant to create a fast, secure, scalable ID verification solution, complete with sleek iPad enclosure, effortless scanning technology, and seamless verification and authentication services. 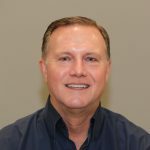 Learn more about Acuant through this Q&A with Kevin Courtney, Acuant’s Director of Product. Sure, thank you for the opportunity. I am excited to talk about what we are doing together. I am the Director of Product at Acuant and come from a background of working in identity verification, fraud prevention, financial analysis document management. I focus on products that help securely and seamlessly transact with identities by initially authenticating government-issued identity documents. At Acuant, that is the core of what we do: we enable businesses and consumers to transact with trust. Acuant is a next-gen identity verification platform, powered by AI and human-assisted machine learning to reduce fraud while providing a seamless customer experience. Our solutions are omnichannel and allow businesses to establish identities on premise or remotely via the cloud and mobile services. Who are Acuant’s typical customers? What problems do you solve for them? Our partners vary in terms of size and market. We are proud to call both startups and Fortune 500 organizations across numerous verticals our alliance partners. Regardless of size, our clients are all looking to streamline cumbersome, manual processes and/or to ensure their clients are who they claim to be by identity proofing. Most often, these customers integrate our solutions into their applications and run them as white labeled products behind the scenes. Our partners appreciate the customizations that Acuant’s solution offers for various workflows and use-cases. What are some of the main challenges in this space? Beyond increasingly sophisticated identity fraud, we are seeing more partners with use-cases for self-service, automated products whether that is via kiosks or mobile apps. The issue with self-service is that it must work properly every time and be easy to use, otherwise there ends up being delays or a poor experience, which turns customers away or causes them to drop off. Acuant is always improving the platform to make sure it is easy to integrate for our partners and consistently provides a good user experience. How have Acuant’s products evolved over time? Acuant has always been about making transactions seamless and secure. As more people transact with their identities digitally, Acuant has evolved with omnichannel and multi-factor solutions including offering biometric authentication such as facial recognition, CHIP reading and PKI. What do you have planned for the future? Where do you see untapped opportunities in the market? As more industries are attacked by hackers and experience data breaches, both securing a business and protecting customer privacy has become paramount. We very much believe in allowing consumers to control their Personally Identifiable Information (PII) and want to enable them to share their identity and personal data when and where they want in a way that allows them to conduct transactions. That is where we see the future of identity proofing headed. Why did you choose to partner with Aila? Aila and Acuant make a perfect partnership for moving into markets where the client might not be creating kiosks and interfaces themselves but want to be competitive and provide this expedited experience. For instance, current clients are using the combined solution to streamline the patient check-in process at healthcare and medical testing facilities. We’re also exploring opportunities in retail store environments where Aila’s Interactive Kiosk can be used for credit or loyalty card sign-ups. Customers could complete the process simply using a government-issued ID while physically present in the store, where they’re most likely to feel the impulse to do so. For Acuant, our partnership with Aila allows us to innovate and discover new workflows for use cases that provide that superior customer experience while also benefiting businesses’ bottom lines.